I'm craving to eat some cake but with nutritional value. I got this recipe some where i forgot where i got. The original recipe with all purpose flour i replace it to Ragi flour. In a microwave safe mug or bowl mix the dry ingredients first then add oil and milk. 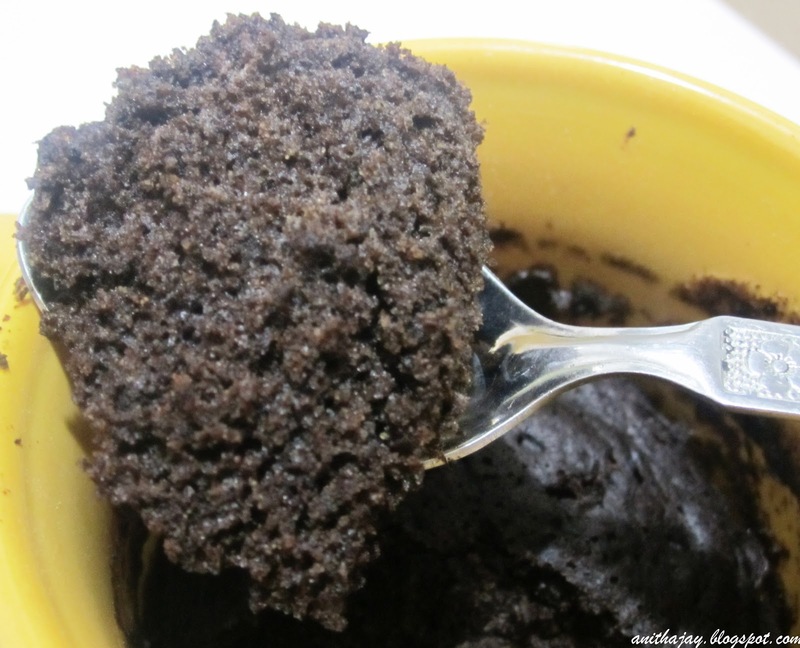 Mix well without making any lumps. Keep in microwave for 2 minutes. 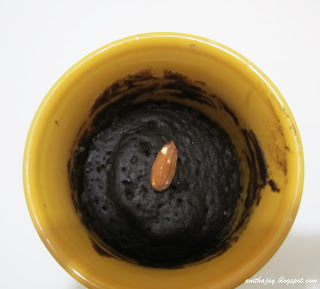 Yummy mug cake is ready in 2 minutes. Serve with your favorite toppings.